What Distinguishes ANFT: Our methods and scope of practice are based upon scientifically backed research in health science. 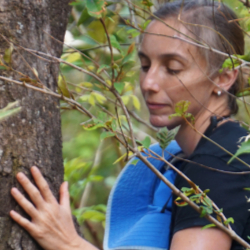 We teach a standard sequence of techniques that assist participants in receiving the full health impacts of forest medicine. The standard sequence provides a strong framework that helps participants slow down, awaken their senses, and reconnect with the more than human world, and it is culturally neutral so that it can be creatively adapted to working with an incredible diversity of populations. Our practice operates within the paradigm of holistic healing; the medicine of the forest is a complex wellness experience, good for the body, the mind, and the spirit. Our training is more than a set of techniques, it is also a pathway to understand what it means to be a guide. A Forest Therapy Guide works with the forest as a partner, to support the wellness and healing of people and nature alike. The guide is not a therapist; the forest is the therapist. Guides help others open the doors of their senses and heartfelt presence, so they can enter completely into a healing relationship with the forest and other places in the more-than-human world. Graduates of our training have gone on to found businesses in alternative health and eco-wellness tourism, work in the non-profit section for special populations, provide corporate wellness programs and retreats, incorporate our techniques in educational settings, and collaborate in wellness programs through botanical gardens, arboretums, and private and public land managers. What began as a dream from the Earth, to simply restore our relationship with the Forest, has become a global movement. We invite you to join us on this incredible path. We are an international community of Forest Therapy Guides who have been trained by the Association of Nature and Forest Therapy Guides and Programs. There are more than 500 of us (growing each month), in over 40 countries on six continents, guiding in a dozen or more languages and in many cultures. We share our love of the more-than-human world and a passion to skillfully guide others toward remembering our deep relationship with all beings. We are energized by our shared commitment to establishing forest therapy as a high-quality, standards-based practice that is recognized throughout the world as an effective way to promote the well-being of people and of forests. The Association was founded by M. Amos Clifford in 2012. 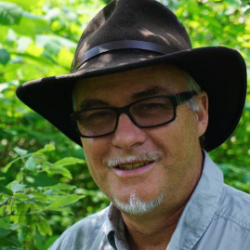 Amos combined elements of Shinrin-Yoku practice in Japan with his four decades of experience in wilderness guiding, Zen meditation, psychotherapy, educational consulting, and nature connection to create a framework for Forest Therapy. The first training that ANFT provided for guides was held in California in 2014. By the end of 2018 we had trained 32 guide cohorts and have developed training teams in other parts of the world. In September of 2018 a major milestone was providing our first guide training in a language other than English; we trained a cohort of guides in Spanish at a mountain retreat center in Spain. We are a truly global organization with a commitment to creating practices that are appropriate for every culture. What energizes our work is our love of nature; but also our sense of impending environmental catastrophe caused by global overpopulation and Western Culture's emphasis on unsustainable patterns of consumption. Our contribution to finding solutions to these problems is to help as many people as possible to develop meaningful relationships with nature. The reality is that most people don't spend much time in nature; and when we do, we are often distracted and don't interact meaningfully with the plants and other inhabitants of the forest. We agree with Jacques Cousteau that "people protect what they love." Love of nature arises naturally when we come into heartfelt, embodied relationship with it, a kind of relationship that is not characterized as much by "knowing the facts" as it is of our fundamental kinship with all beings. We are inspired by the vision of mobilizing the largest referral network in the world—medical and healthcare systems, along with alternative and complementary healing modalities—to connect people with nature. There is now a large, robust body of research that soundly demonstrates what we have always known intuitively: that time in nature in good for us. The Association's role is to develop a solidly-grounded practice that supports the well-being of people and, by connecting them with nature, inspires millions to become advocates for healing our relationships with the more-than-human world. 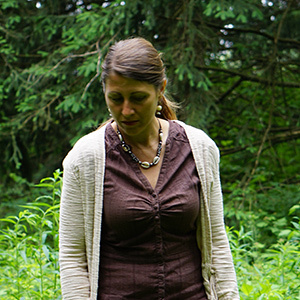 Nadine is founder and director of New England Nature and Forest Therapy Consulting through which she does work as a Certified Forest Therapy Guide, speaking and corporate wellness consulting. She also works with the Association of Nature and Forest Therapy Guides and Programs (ANFT) as their Practicum Director and has been training and mentoring new guides since 2016. As a cancer survivor, practicing good self-care is Nadine's most important guiding principle for herself. She has come to know the healing and support that nature can offer us through her own personal wellness journey. Nadine has a business and marketing background and was formerly a world professional pocket billiards player competing on the Women's Professional Billiard Tour. Also, an artist, she facilitates Expressive Arts classes often incorporating elements of forest therapy throughout. She works with a wide variety of populations including the corporate business world, wellness professionals, people affected by cancer, students, special needs and seniors. A Massachusetts native who loves spending time forest bathing with her dog Nadine is also writing a book, “Forest Bathing with Your Dog”. 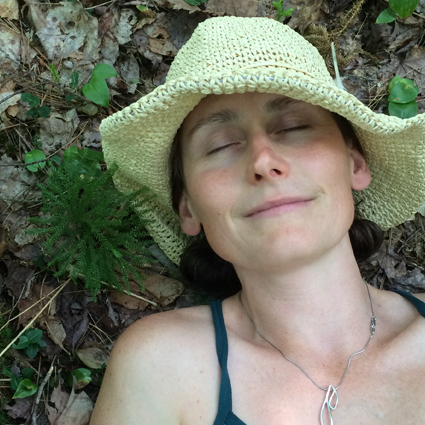 She is joyous to be sharing forest bathing and creating environments for forest therapy. 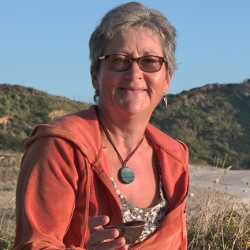 Nadine is available for consulting, group forest bathing workshops and speaking engagements. Sara holds a B.A. in Human Services from the California State University of Fullerton and has extensive experience in guiding and supporting others to achieve the goals and quality of life they strive for. Sara has years of experience in student services, counseling, teaching and career placement which have afforded her the pleasure of assisting hundreds of students throughout their educations, state certification processes and beyond. Her years of experience with business operations and financial management has also enabled her to provide this crucial guidance to those working towards their personal and professional ideals. 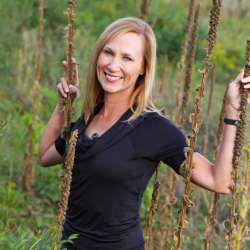 Sara has also trained as a forest therapy guide, is a state certified massage therapist and an advocate for holistic healing, human connection and our inherent responsibility to protect and nourish our natural resources and environments. Her ambitions are that her life’s work will make a positive impact on the world and to help others live healthy, happy lives. Sara is a lover of nature and holds the conviction that this connection is necessary to her well-being as well as all others and so supports in the development and vision of the association. When not nurturing these connections at the home office she is likely off frolicking in the wild. To contact Sara, email info@natureandforesttherapy.org. 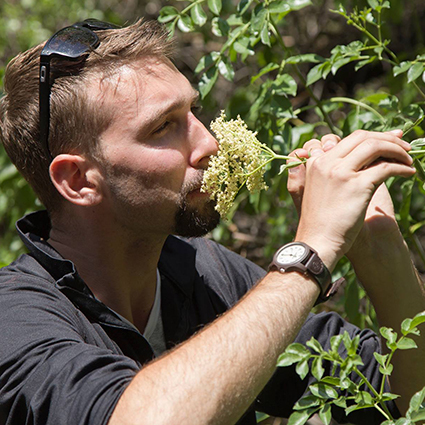 I am inspired to show other people how to connect to nature and have the appropriate tools to do so. My whole life I have been connecting to nature in a very intimate and close way. Becoming a Certified Forest Therapy Guide and then a Trainer with ANFT has given me the formal tools to show other people how to feel as part of nature as I do. I graduated from German speaking school in Costa Rica. After school I worked as a naturalist tour guide, throughout the whole country on 2 week duration roundtrips. Through my work as a guide and a trainer I can make a real contribution to conservation because one protects the things we love the most, and if I get people to reconnect to nature and learn to love it again, they will also protect it. Suzanne Bartlett Hackenmiller, M.D. is an OB-Gyn and Integrative Medicine physician from Cedar Falls, Iowa, who practices at Van Diest Medical Center/Mercy Des Moines. 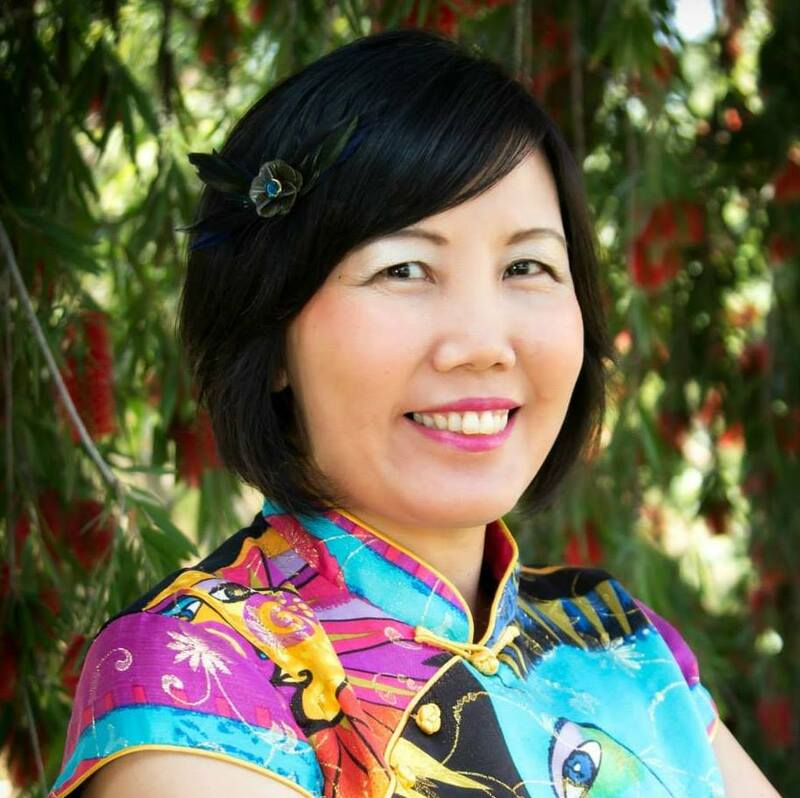 She is board certified by the American Board of Obstetrics and Gynecology as well as the American Board of Integrative Medicine. Additionally, she completed a 500-hour course in herbal medicine with Dr. Tieraona Low Dog. Dr. Bartlett Hackenmiller’s passion for integrative medicine and nature therapy arose from her personal journey through raising a child on the autism spectrum, her husband’s death from cancer, the inadequacies of conventional medicine, and her personal discovery of solace in both outdoor adventure and mindfulness in nature. 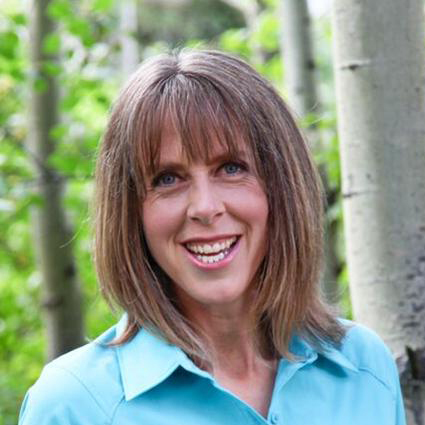 She and her husband, Joe, lead workshops combining mountain biking, hiking, kayaking, integrative wellness topics, and the practice of Shinrin Yoku/Japanese forest bathing for women’s empowerment, individuals with special needs, cancer survivors, and others. Dr. Bartlett Hackenmiller has been quoted and featured in numerous publications, including Prevention Magazine, the American Airlines American Way Magazine, and Web MD on the subject of nature therapy, and currently serves as medical director for the Association of Nature and Forest Therapy. 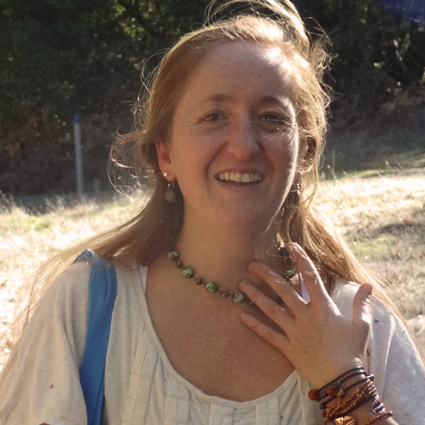 Geeta is a certified Forest Therapy Guide based in Portugal. 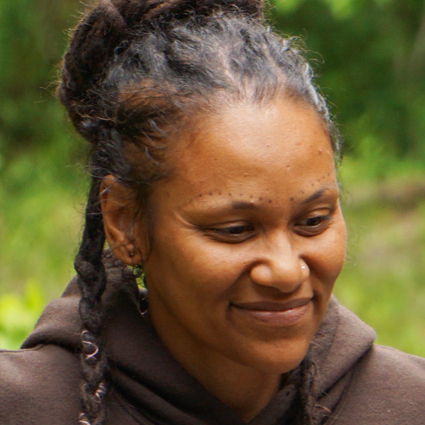 She is the founder of the company Renature where she creates and facilitates restorative programs that promote wellbeing and health through Forest Therapy, nature connection practices, clean eating and self-care. She works all over the world with various populations that range from the general public, corporate senior and junior teams, schools, families, mental health populations and individuals recovering from situations of excess stress and resulting depression and anxiety. Her passion is to bring human beings back to nature and support the reconnection to the restorative potency of the natural world. Based on her own recovery journey, she creates a safe space for the nature connection and self-care journey to unfold. Over the past 20 years she has dedicated a great part of her time and resources to her own development and self-care journey and this life experience is the foundation for her work. She is trained in Forest Therapy, Embodied Mindfulness and Conscious Resting and in the field of Healthcare as a Pharmacist. She is trained in Council and Active Meditation Techniques and is currently training to be a Life Coach. She holds a Masters in Business Management and is fluent in Portuguese, English, Spanish and French. 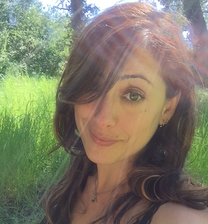 Hana Lee Goldin is the Editor-in-Chief of Forest Bathing International and is also a forest therapy guide certified by the Association of Nature and Forest Therapy Guides and Programs. 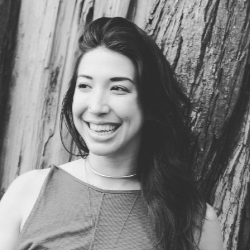 She founded The Sacred Wilds, a nature-based wellness practice serving the Bay Area. She also has her Master's degree in Library and Information Science from the School of Communication and Information at Rutgers University and has combined this unique skill set to establish The Forest Library, whose mission is to advance the fields and advocate the power of nature and forest therapy through effective dissemination of knowledge via compelling, current, and credible content. Hana Lee lives in San Francisco and can be found roaming the Presidio and Golden Gate Park. 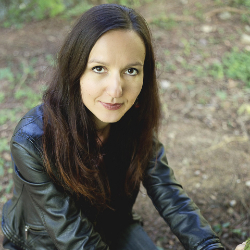 Katarina Cuk Owl isthe first certified Forest Therapy Guide in Slovenia, EU, author of the book Our Timeless Nature, Forest Selfness guide and a certified meditation guide. Her Slovene surname Cuk means ‘little owl – athene noctua’ in English. Living really close to nature from childhood, she has always sought comfort, support and inspiration in the forest. A few years after moving to the city as a student of translation sciences, she realized she longs for that deep connection again - to re-connect to her-self. At a major career shift she decided to work in nature, for nature, with nature, got educated in different areas needed, wrote a book about our connection to nature, and started to promote the importance of returning back to nature for support, and helped people do that through workshops, articles and meditation in nature. She joined the team of Forest Selfness green tourism program as a guide in 2014, through it met Amos Clifford in 2016 and immediately knew ANFT is the embodiment of work she feels has to be done in the world. She did her training in Cohort 10 in California in 2017. 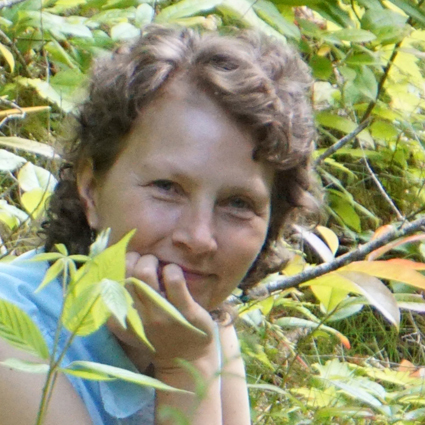 Currently she combines her work in sustainable tourism and Forest Therapy Guiding. Stana has been working for the Cataraqui Region Conservation Authority (CRCA) for over twenty years as the Senior Conservation Educator. Inspired by Earth Education, the Coyote’s Guide to Nature Connection and Forest schools, Stana aims to connect people with their head, heart and hands to nature. Through the CRCA, Stana brings Forest Therapy walk experiences to the community, private and public organizations and continues to pilot Forest Therapy to elementary and secondary school aged children and youth. The CRCA was the first conservation authority in Ontario to offer Forest Therapy which is now rapidly spreading to other CAs. Stana received her BA from the University of Waterloo in 1998, in the Applied Studies Co-op program with Honours History. She earned her Bachelor of Education at Queen’s in 1999 from the Specialized Outdoor and Experiential Education Program. 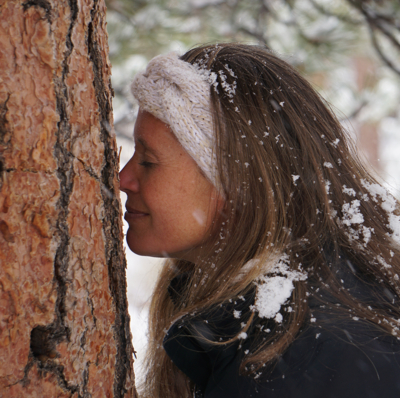 Her work related to Forest Therapy continues to open her heart and deepen her relationship with all beings. Dr. Svetlana Zdravković is a Jungian analyst, a member of the International Association of Analytical Psychologists (IAAP) and a member of the Independent Group of Analytical Psychologists (IGAP) in London, UK. She is a doctor of psychology and a specialist in medical psychology. She works at the Institute of Mental Health in Belgrade, Serbia. There, she works as a Jungian analyst, clinical psychologist, educator and workshop leader. 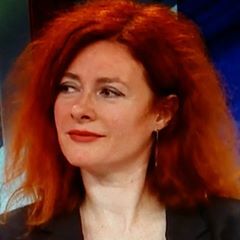 She is a lecturer, workshop and seminar leader by invitation in the Independent Group of Analytical Psychologists in London (IGAP) and the Jung`s Institute in Zurich (ISAP). Dr Zdravković is the author of two books, numerous articles and the translator of two books from the field of analytical psychology. Her areas of professional expertise include analytical psychology and creativity, active imagination, dreams, mandalas, sexuality, mythology, archetypes of the feminine, the individuation process, complexes and more. Vicky Kyan is the first ANFT Certified Guide, Mentor and Trainer in the Southern Hemisphere. She is a strong advocate for the practice of Nature and Forest Therapy, and for the promotion of trainings in the South Pacific. 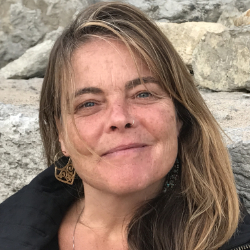 She is largely inspired by her local ocean beach, seashore and estuary ecosystems, where she has pioneered this work since her Guide Training with ANFT in North California in May 2015. Vicky operates a small Homestay holiday retreat, where she offers ‘Wellbeing Wanders’ Nature and Forest Therapy guided experiences. When she is not travelling she uses her Pacific Island home as a base for mentoring ANFT trainee guides and building network with nature connection contacts both nationally and around the world. She is also an active member of the ANFT International Training Team and travels to trainings around the world.